Ms. Stagg is an experienced public entity litigator having represented clients in federal court, state court, administrative proceedings and arbitration. Her clients have included community colleges, school districts and other public entities on matters such as section 1983 excessive force claims, inverse condemnation, ADA Title II claims, Unruh Act claims, construction contract disputes, and local land use and zoning disputes. Utilizing her experience as a litigator and a unique perspective gained researching, analyzing and advising on public entity matters as a legal research attorney for local superior courts, Ms. Stagg counsels SCLS clients on facilities, general business matters, real estate, CEQA compliance and bidding and construction matters. She is also available for legal advice and services regarding the Brown Act, the Public Records Act and developing K-12 and Community College District Board Policies and Regulations. 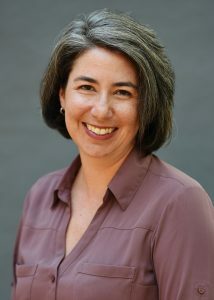 As a law student, Ms. Stagg co-chaired the 2007 California Water Law Symposium and served on the Steering Committee for the Women’s Leadership Forum. She is an active member of the Richard M Sangster American Inn of Court. Prior to joining SCLS, Ms. Stagg practiced commercial litigation at Manatt, Phelps & Phillips in San Francisco and as a public entity litigation associate at a firm in Walnut Creek. Most recently, she was an affiliated freelance attorney with Montage Legal Group providing contract and project-based legal services to California law firms and public entities.